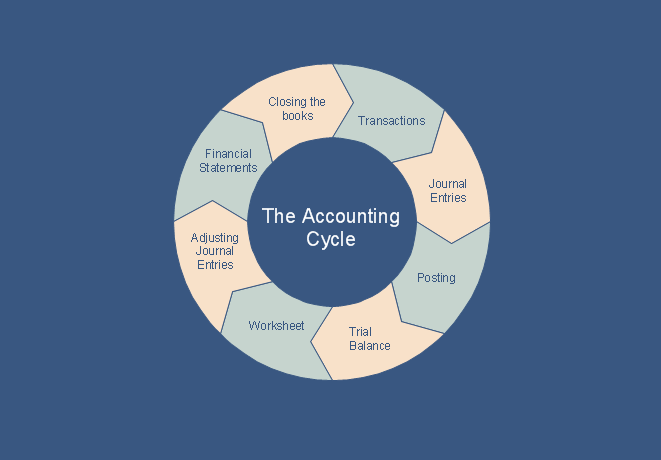 What is the accounting cycle for a business? The accounting cycle for business starts from the creating chart of accounts and finishes with closing the book at the end of the accounting period after execution a series of steps in the accounting process of financial transactions of the firm. 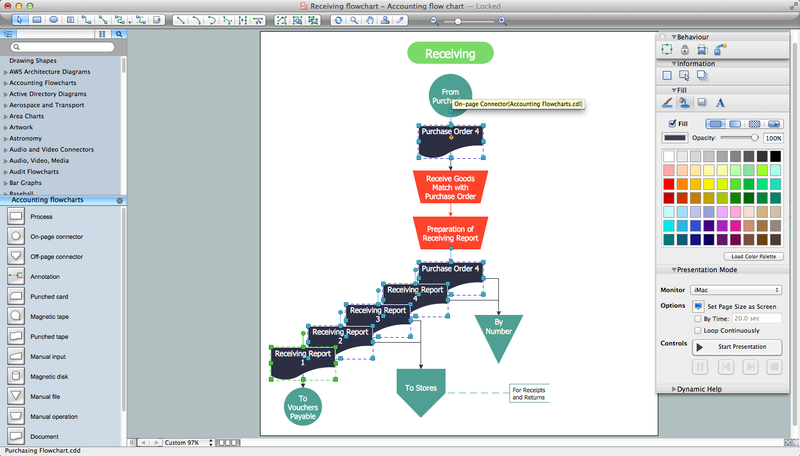 ConceptDraw DIAGRAM diagramming and vector drawing software extended with Accounting Flowcharts Solution provides the Accounting Flowcharts library with wide variety of predesigned accounting flowchart symbols, and the set of templates and samples allowing you design the accounting flowcharts and show the steps of accounting cycle in minutes. 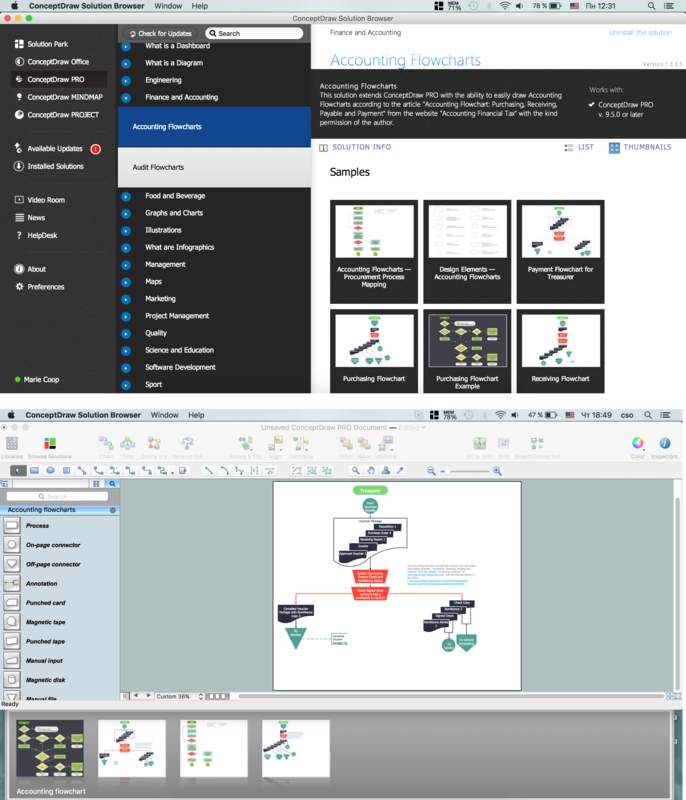 Use the ConceptDraw DIAGRAM with Accounting Flowcharts Solution to explain “What is the accounting cycle?” and create your own professional Accounting Flowcharts quick and easy.